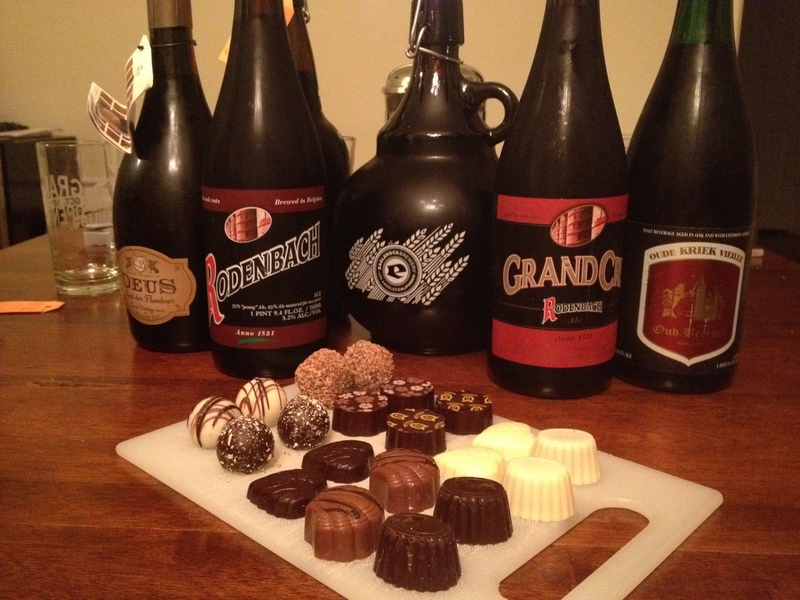 Women’s Beer Forum: Beer and Chocolate! This month’s Women’s Forum is gonna be quite the treat… literally. I’m pairing up with Mignon Chocolate to do a beer and chocolate pairing. Oh yeah, you heard me… BEER AND CHOCOLATE! As usual, you can expect some pretty exciting flavor combinations, a flight of great beers, and of course, some QT with all your favorite beer drinking ladies! Come join me for an amazing flight! The cost of the flight will be $15 and will include the flight of beers, flight of chocolates, a flight sheet and some great company. A representative from Mignon will also be available to offer some insight to the chocolates as well. Despite that there’s a little part of us that would love love love to have beer and chocolate for dinner, a more substantial meal may be in order…. Asian Cravings Truck will be serving up some delicious small bites that evening so be sure to come hungry and thirsty! Please RSVP for this event so that I can make sure to have plenty of chocolate and beer on hand for everyone.